Just wrapped some jewellery in my new packaging; ready for sale or shipping! Simple but professional~I love it! 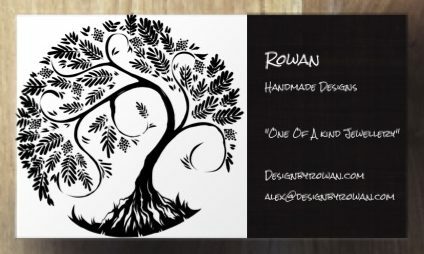 Shout out to my daughter-in-law for hooking me up with my own custom drawn logo of a Rowan Tree. Thank you Jen, for all your help! !